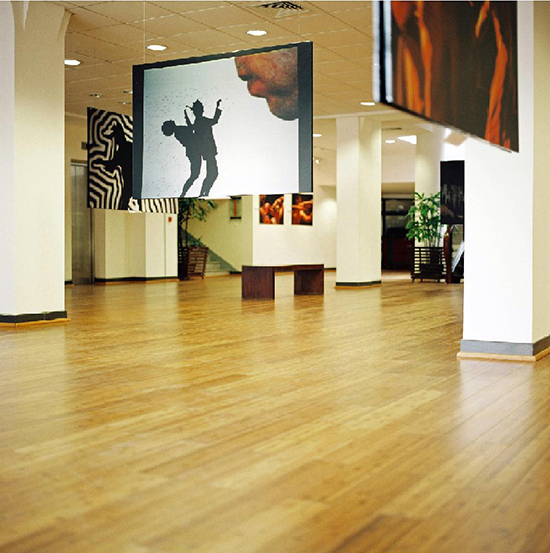 The floor greatly affects the look of a whole room. It can be minimalist or grand. It can be the major design element of the whole room. It can also be a background that enhances the room’s style. 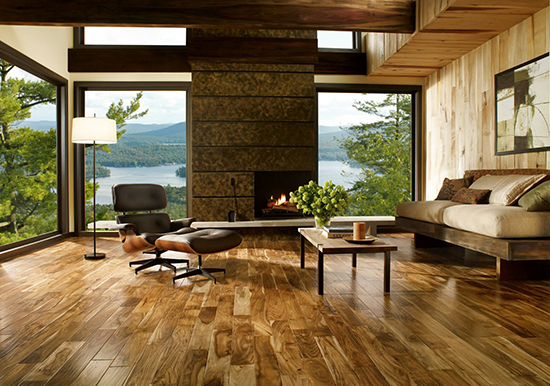 Wood flooring is used by many homeowners because of its durability and style. The good thing is, there are different wood flooring ideas you can choose from. We are featuring 15 of them in this article to help you out in choosing the one that will be right for your own living room. 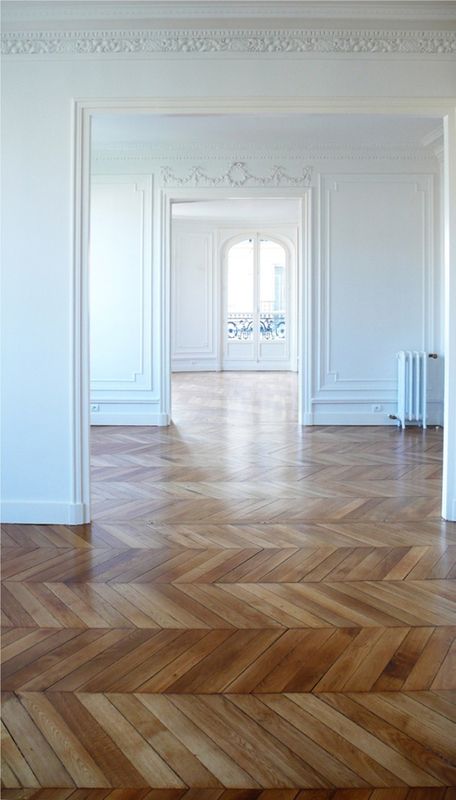 White wood floors are chosen by many homeowners because they are water resistant. Why else are they used in making ships? What makes this more appealing is that they come in different designs. 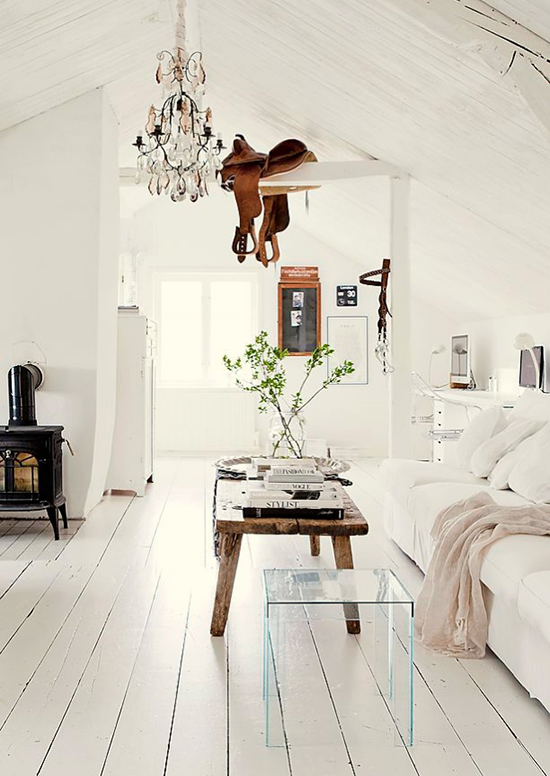 With a white wood flooring in your living room, you can have a durable, attractive floor that is easy to maintain. Herringbone wood tile flooring is perfect for small rooms. The pattern will make the room look a bit wider. 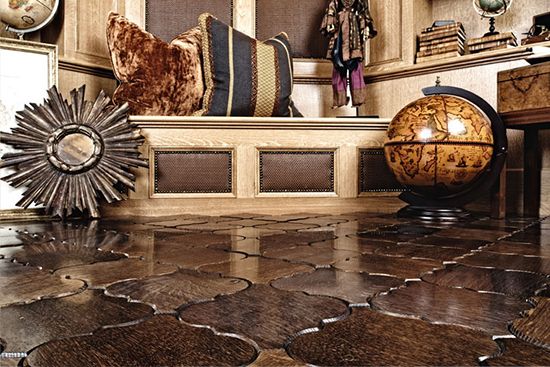 This parquet wood flooring is best done using a rustic wood tile. Don’t you just wish all rooms in your house has this kind of flooring? The design looks very elegant. 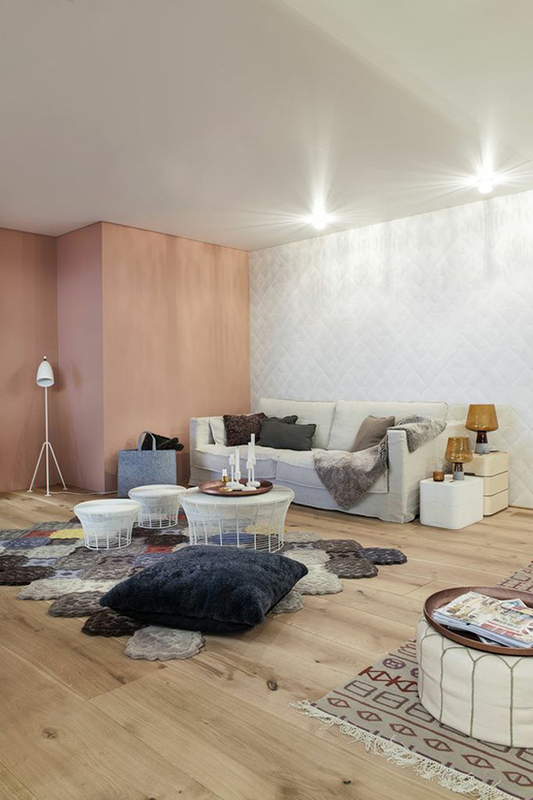 The dainty pattern is enough to make the whole living room look interesting without carpeting. 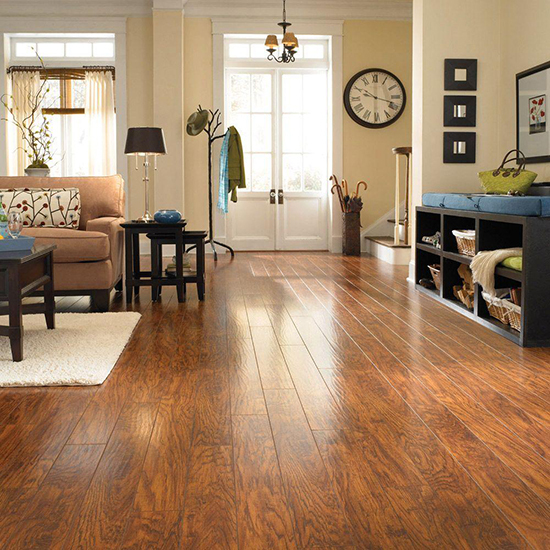 A lot of families prefer Acacia wood flooring. Its breathtaking look creates a lively place. It is also one of the hardest woods so it can last a lifetime without losing its elegant look. 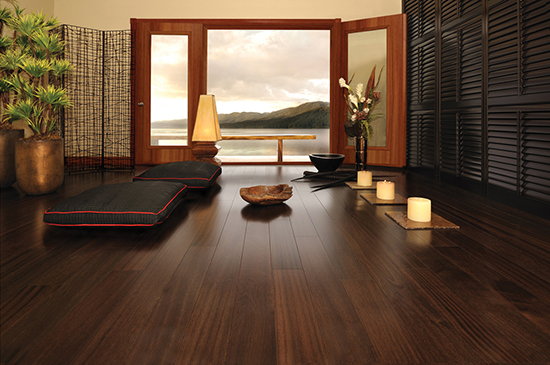 If you want to add character to your living room, an Australian cypress flooring will do the trick. It adds elegance to any room. Technically, it belongs to the softwood classification, but it is durable and could last long with regular maintenance. Bamboo wood flooring is highly biodegradable. This is the reason why many people who wish to reduce carbon footprint opt for this type of flooring. It can add class and elegance to any room where it is used. The color of a birch wood flooring depends upon the age and the part of the tree was used. Younger birch wood is cream colored, but the middle part is golden brown. The red birch wood is the most popular because it is sturdy and has a striking color. 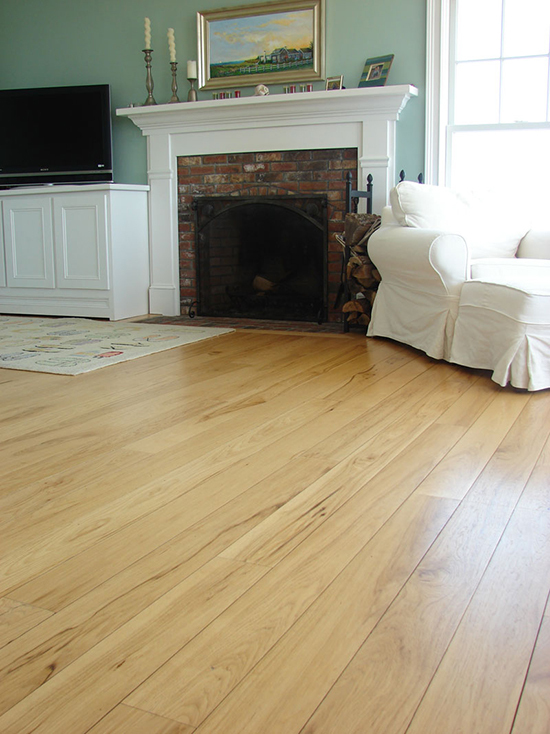 If you want a living room floor that always looks immaculate, you should stick to hickory wood flooring. It is also perfect for whatever theme you have chosen for your living room. 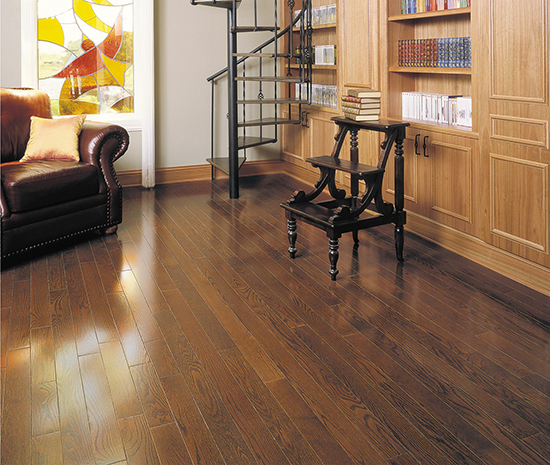 Next to the Brazilian Cherry, Mahogany is the second most popular exotic hardwood flooring. Homeowners can choose from different colors of Mahogany that may range from medium brown to dark brown. Mahogany woods have an open pattern that makes each tile unique. 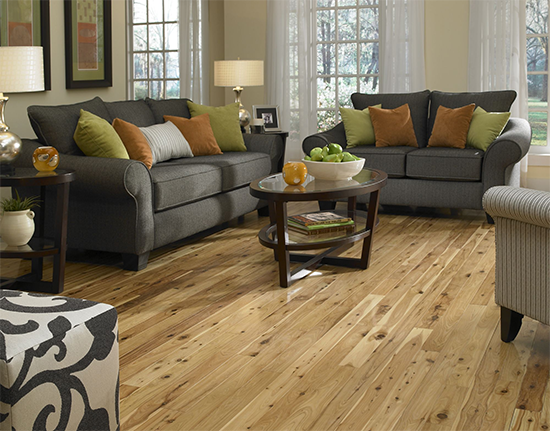 A properly finished Red Oak wood can make a simple living room look striking. Red Oak is one of the top favorite materials when it comes to woodworking projects. It needs minimal finishing as it has a natural look which is its best quality. Rustic Oak wood tiles are the perfect material for parquet flooring. It creates a stunning design because the rustic oak wood has a deep color. It adds character to any room. 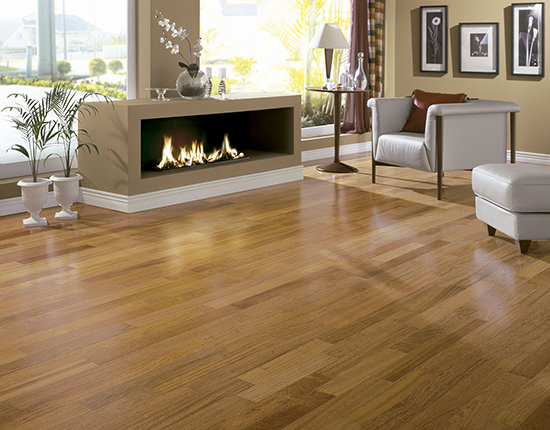 The #1 advantage of using maple wood flooring for your living room is that it makes the room look elegant, rich, and stylish. It is also easy to customize a maple wood’s color by using wood stain. Its maintenance is also as simple as sweeping it daily. Teak wood is durable because it resists a lot of natural elements that can destroy floors like the weather, insects, and water. It is a naturally oily wood that is why it can withstand wear and tear. It also has a dramatic finish that makes it a favorite among home designers. 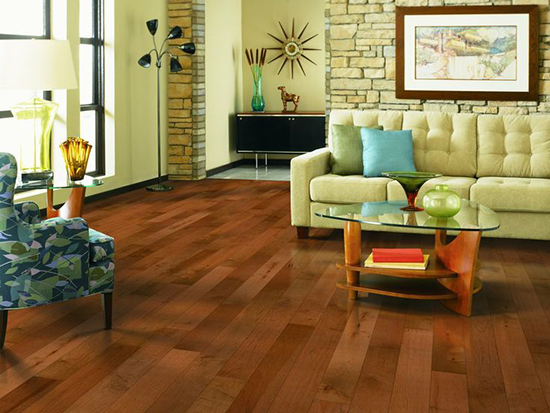 Tiete Rosewood flooring can make your living room look relaxing because of its soothing color. What’s more interesting about it is that its color can get even more beautiful as it ages. 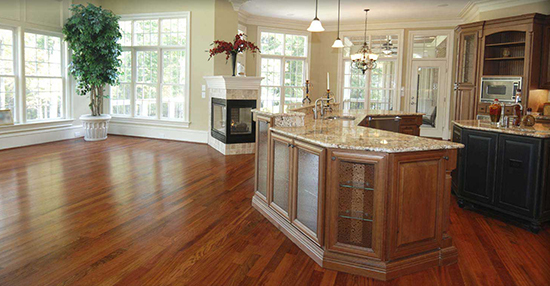 One of the most durable and attractive hardwoods is the tigerwood. It is perfect for living rooms, dining rooms, and bedrooms. Its color is what makes it attractive and therefore should be taken care of very well as it is susceptible to white spots. 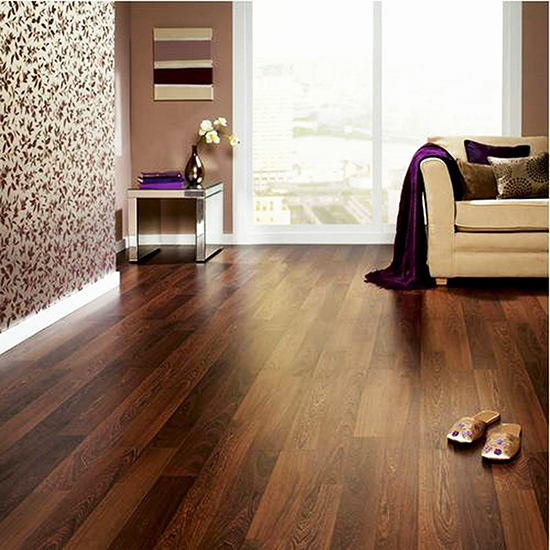 Wood flooring is very popular these days whether for home or business. There are many choices so it is easy to find the kind that will suit the budget and the living room decor.